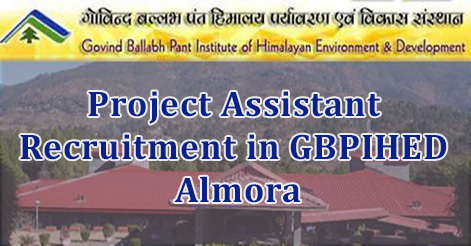 The G B Pant Institute of Himalayan Environment and Development (GBPIHED) Almora has released advertisement for recruitment of Junior Research Fellow & Teacher. 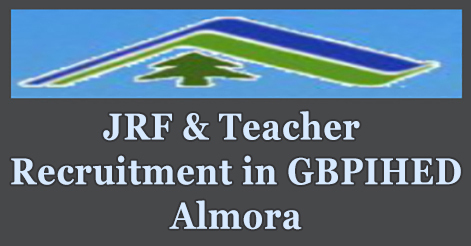 GBPIHED Almora invites application in a prescribed format for Junior Research Fellow & Teachers in different Units. Candidates may appear in the walk-in on 23 June 2017. 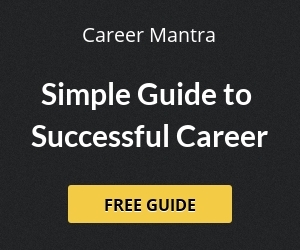 Selection of candidates will be based on their performance in interview. Interested candidates with adequate qualification may appear for Walk-In-Interview on 23 June 2017 at 11:00 A.M. onward at Kosi-Katarmal (Almora) campus of the Institute. Candidates are requested to bring all important documents with them. Help us to improve this article/job posting "Junior Research Fellow & Teacher Recruitment in GBPIHED Almora". We would be glad if you can comment below and provide your valuable suggestions and feedback. If this page have any wrong information/list or out of context content, then you can report us as well.